Most people who have even a passing interest in cannabis in Canada have doubts about the Liberal government’s legalization plan. A burning question that’s just now receiving mainstream attention is whether the shift in the way we think about enforcing our country’s drug laws will benefit Indigenous communities. The answer carries historical importance. Indigenous peoples throughout the Americas have long harvested, traded and smoked a wide variety of plants, including tobacco and cannabis, for recreational, medicinal and ceremonial purposes. For some Indigenous leaders, legalization of the cannabis industry represents a chance at future prosperity – green gold, if you will, for Indigenous communities. 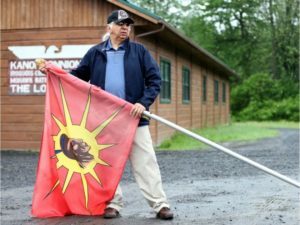 “This could be putting that food on our table,” Mohawk elder Kanasaraken Loran Thompson told a recent community meeting on the Six Nations reserve. 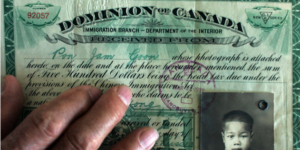 But the inherent treaty rights of Indigenous peoples to engage in their traditional economies aren’t always recognized by the federal government and its provincial counterparts. A burgeoning trade in tobacco on reserves continues to be a target of law enforcement. The former Harper government, for instance, created a new offence for trafficking in contraband tobacco, introducing a minimum prison sentence for repeat offenders while it was in office, cutting off an economic lifeline. Legislatively speaking, there is a huge hole in the Liberal’s pot bill – namely, the absence of any direction on how the law will or won’t apply to Indigenous communities. Already, cannabis is emerging as a flashpoint in Indigenous communities. 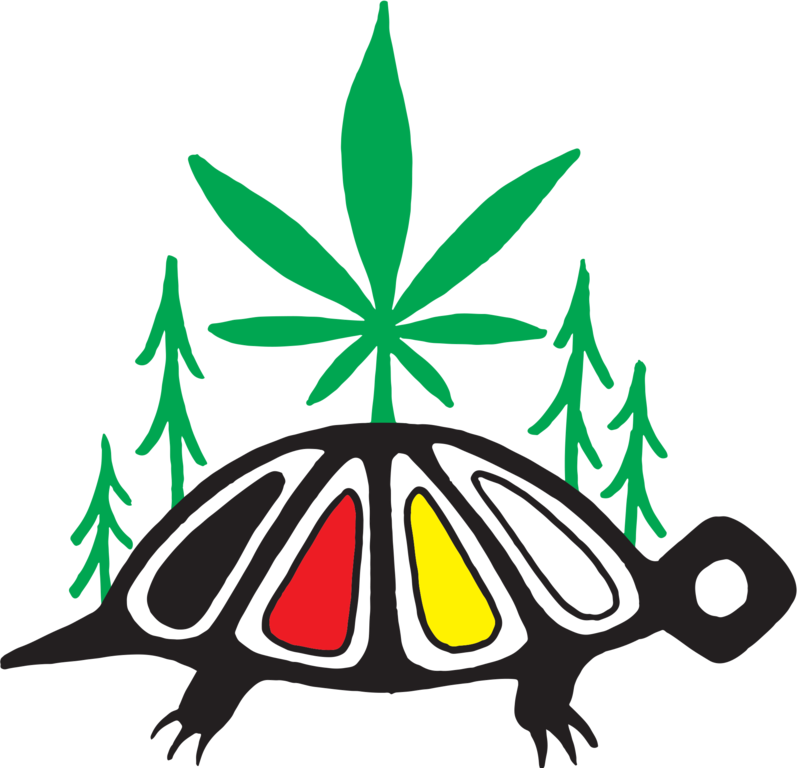 In Tyendinaga Mohawk Territory east of Belleville, more than 30 storefront dispensaries – from dedicated medical compassion clubs to more permissive operations – dot the main strip. 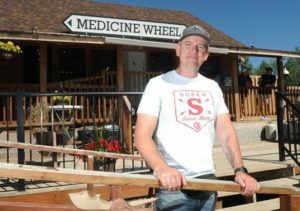 “This is going to be bigger than tobacco,” says Jamie Kunkel, who owns Smoke Signals, a medical cannabis dispensary on the reserve. 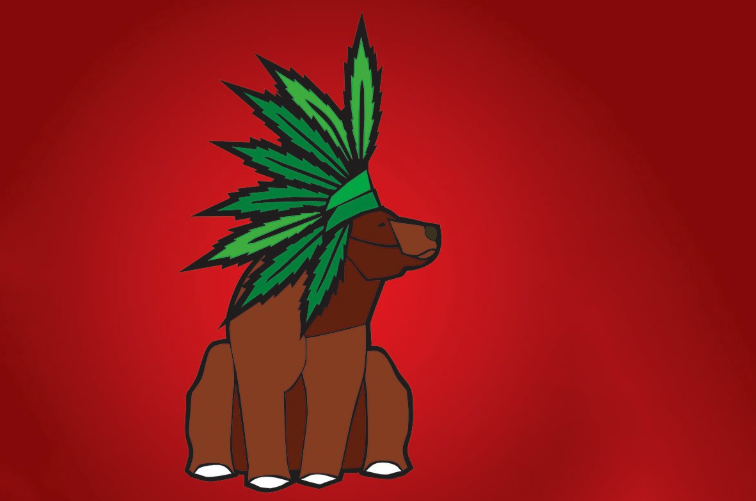 Kunkel is in the process of organizing the first Indigenous Cannabis Cup, which will be held on Tyendinaga May 18-21. The event will showcase Indigenous cannabis vendors and also serve to demonstrate a simple truth: cannabis legalization is exciting for Indigenous communities, too. As far as Kunkel is concerned, legalization for him means being able to operate his dispensary according to the laws of his community, underwritten by his community’s historical connection and beliefs about the plant itself. Decolonizing cannabis is all about being left alone. “For us, it’s traditional medicine. It’s our right. It’s grown on Mother Earth,” says Kunkel. Likewise, University of Manitoba law professor David Milward, who is of Cree ancestry and writes extensively on racial prejudices in the Canadian justice system, sees liberation in legalization – a potential big victory in the fight for Indigenous communities to get back on equal footing in Canada. “If we work together as a people going in one direction, our children, grandchildren, great-great-grandchildren can live a good life because of what can be done with this product,” he says. But Indigenous leaders and critics of Bill C-45 have been sounding the alarm since the fall that the government is rushing through legalization without consulting their communities. “You have this patchwork approach, where the federal government kicked a lot of the important issues to the provinces,” says NDP health critic Don Davies. But Indigenous communities are not provinces. Questions about distribution, health and enforcement play out differently on reserves than they do elsewhere. 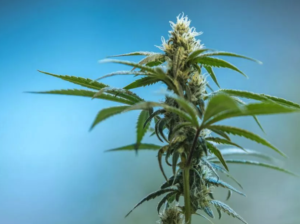 In September, Day told the Commons health committee that as a result of insufficient consultation, Indigenous communities were “not yet in a position to fully understand and fully address the impacts” of legalization. Many Indigenous communities, for example, still haven’t figured out exactly where they stand on legalization. 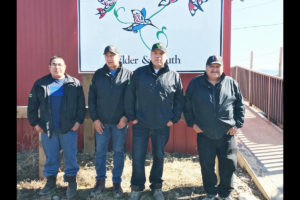 Those closer to urban centres tend to be more supportive, but leaders of remote communities with fewer opportunities to benefit financially have concerns about the lack of resources to promote education around cannabis and its uses. Legalization will work just fine, says Milward, if the feds are willing to grant reserves a form of sovereignty and allow them to more or less figure it out for themselves. “Each community needs to engage in its own consultation process with its own members. Not everybody is going to be on board,” he says. And then there’s the question of law enforcement. Hanging over the possibility of an equitable cannabis industry for many Indigenous people is whether or not the country will be able to enforce its new regulations fairly. Ottawa and the provinces, which have reached a deal on divvying up tax revenue from cannabis sales, have issued warnings that new weed laws will apply on reserves. But not all First Nations agree on that framework. Raids of dispensaries have been carried out by reserve officers on the Six Nations reserve. On Tyendinaga, however, band council chief Donald Maracle has stated there won’t be raids by First Nations police. There is good reason for Indigenous communities to be wary: for many who have been arrested on possession charges, cannabis serves as a gateway to Canada’s prison system. In Ontario, Liberal MPP Arthur Potts has called it “redundant” to discuss legalization, which he says is already (technically) inherent in treaty rights. Once again, Indigenous communities are being told that everything will be fine, so long as they trust the government to live up to its end of a very large nation-to-nation bargain. For obvious reasons, many see this as a tall order. 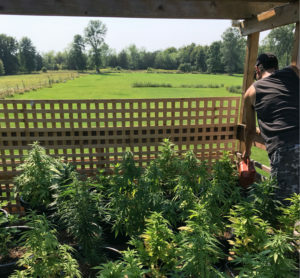 Back in Tyendinaga, Kunkel says there is plenty the cannabis industry and Indigenous communities can learn from each other. He doesn’t identify with Indigenous cannabis culture; to him, it’s just cannabis culture. “We have an opportunity to share and exchange cultures with everybody,” he says. Thank you for your responses online regarding this week’s cover. We appreciate your input. The cover art was created by Jason Carter, an Indigenous painter, sculptor and illustrator of the Little Red River Cree Nation. We asked Carter to create an illustration based on the cover story, which looks at how the issue of legalization is affecting some Indigenous communities. Our collaboration with him was based on providing him with the cover story. We welcome your continued response. 1606 The earliest known evidence of cannabis in North America comes when Louis Hébert, Samuel de Champlain’s apothecary, introduced the plant to white settlers. which was widely grown across North America for use as a fibre in clothing, rope and sails and rigging for ships. 1619 Realizing the profit that could be made from the production of cannabis fibre, King James I commands American colonists to produce hemp. Virginia imposes penalties on those who did not produce cannabis, and awarded bounties for cannabis culture and manufacture. 1801 The Lieutenant Governor of Upper Canada distributes hemp seeds to farmers. In the 1824 book Five Years’ Residence In The Canadas, Edward Allen Talbot, Esq., posits that hemp could end the dependence of Canadian settlers on Britain. 1822 The provincial parliament of Upper Canada allocates 300 British pounds for the purchase of machinery to process hemp. The government’s budget offers incentives to domestic producers. There were six hemp mills in Canada at the time. 1850s Physicians in North America start prescribing cannabis for a variety of conditions, including rabies, rheumatism, epilepsy, tetanus and as a muscle relaxant. Cannabis preparations are sold over the counter in drug stores. 1917 Despite the invention of machinery to make it easier to separate cannabis fibre, hemp begins to be overtaken by cotton production, which is thought to be less labour intensive. 1923 Possession of marijuana is criminalized without debate in the Canadian Parliament. 1937 Canada follows the U.S.’s lead and enacts an excise tax on cannabis fibre producers, under pressure from petroleum and textile companies as a threat to their businesses. The first instance of police seizing marijuana is also recorded, 14 years after cannabis had been criminalized. 1961 Canada ratifies the United Nations Single Convention on Narcotic Drugs regulating the production, distribution and use of prohibited substances to medical and scientific purposes. 1979 Under pressure from the Reagan administration’s War on Drugs, the new Liberal government signs the UN’s Convention on Psychotropic Substances (1971) banning psychotropic drugs. 1997 An Ontario Court judge rules that people must be able to access marijuana for medical purposes after epilepsy sufferer Terry Parker challenges Canada’s cannabis laws as unconstitutional. 2001 The federal government begins regulating the distribution of marijuana for medical purposes. 2013 The Harper government removes the right of medpot patients to grow their own medicine, a decision overturned by the courts in 2016. 2015 Liberal leader Justin Trudeau’s first election promise is to legalize marijuana. 2018 On the precipice of legalization, there are many questions still left unanswered on what that will look like. Compiled by Enzo DiMatteo with files from the report prepared for the Senate Special Committee On Illegal Drugs (2002).